CALL FOR OUR BUY IT OUTRIGHT & SHIPPING PRICE. (419) 358-0745 prior to bidding. Buyers Inspection: Ken Lugibihl Auto & Truck Sales, Inc. has done our best to disclose all information known about this vehicle for auction. Ken Lugibihl Auto & Truck Sales, Inc. welcomes a buyers inspection. If you plan to have a buyers inspection, please make sure you inspect the vehicle prior to the auction ending. Inspection fees if any are Buyers responsibility. Representations and Warranties made by seller: This vehicle is being sold "as is". Manufacturers warranties may still apply. Extended warranty may be available, email or phone Ken at (419) 358-0745 for details. No representations or warranties are made by seller, nor are any representations or warranties relied upon by bidders in making bids. Taxes and Registration fees: Out of state buyers are responsible for all state, county, city taxes and fees, as well as title service fees in the state that the vehicle will be registered. We are legally obligated by the State of Ohio to collect full sales tax from residents of Ohio, and no more than 6% sales tax from the states of Arizona, California, Florida, Indiana, Massachusetts, and Michigan. For residents of South Carolina, we collect 6% sales tax to a maximum of $300.00. Should your tax rate be higher than 6%, you will be responsible for any additional tax money to be paid to your state when you obtain license plates. All taxes and fees must be paid in full in order for vehicle to be titled and registered. Title Information: Vehicles titles may be held by banks or lenders as collateral for loans. In many cases there is a delay in receiving the original instruments up to 21 days from the time we pay a vehicle off. While we usually have all titles in our possession at closing, there are occasions where we may be waiting for them to arrive. If payment is made by cashier's checks we will hold all titles for 10 days or until funds have cleared. All shipping arrangements and charges are buyer's responsibility. Ken Lugibihl Auto & Truck Sales, Inc. will not be responsible in any way for claims arising from shipping damage! Licensed Carriers are generally insured for $3,000,000.00. We assume no responsibility for damages incurred after the vehicle leaves our showroom. All shipping arrangements that maybe provided by Ken Lugibihl Auto & Truck Sales, Inc. are done so by courtesy. We are not affiliated with any carrier. Any claims or other communication regarding shipment of vehicles will be between you and the shipper, not with Ken Lugibihl Auto & Truck Sales, Inc..
Ken Lugibihl Auto & Truck Sales, Inc. will contact the successful high bidder by e-mail after the auction closes. (419) 358-0745 within 24 hours of the auction ending to make arrangements to complete their transaction. If we cannot confirm your intention to buy or the sale is not completed within 5 days, we reserve the right to relist this vehicle or sell to any other qualified buyer. In order to secure bid on vehicle, Successful bidder (BUYER) must within 24 hours of bid closing send to Seller a Deposit in the amount of 10% by major credit card, pay pal, or bank certified funds. We will not accept any personal or business checks for any reason. Within 72 hours of bid closing, Buyer must send balance of funds by bank certified funds to Seller. A representative from our dealership can be available for pickup at area airports when necessary. Buyers must schedule pickup prior to making travel arrangements. Please call with your destination to get a cost for transportation to be paid at the time of the transaction. CALL ANY TIME FOR OUR BUY IT OUTRIGHT PRICE. 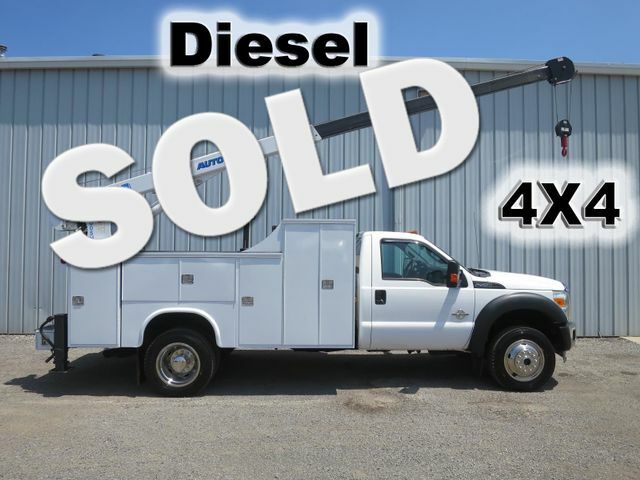 We specialize in commercial vehicles of all makes and sizes, late model pre-owned cars and trucks. We have many more units in stock that are not listed on ebay. Call if you do not see exactly what your looking for.